Search all Heritage Terrace Homes for Sale by scrolling down to the bottom of this page. 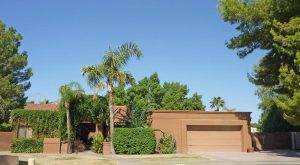 Heritage Terrace homes for sale is a great community located in Scottsdale off of Hayden and Mountain View. This community consists of 105 home sites with some having lakeside views. These single story homes average 2,700 square feet with lot sizes of about 1/3 of an acre. Heritage Terrace homes are priced from $500,000 to over $750,000 and were built from 1980-1987. These homes are located in McCormick Ranch near many of the dining and shopping options in Scottsdale.